The Vanderbilt Department of Anesthesiology’s commitment to global health is historically strong, with demonstrated participation and leadership in international teaching/medical service opportunities by our faculty and staff over the last several decades. The department also offers two significant educational opportunities: a one-month, ACGME-approved rotation for Vanderbilt residents in their CA-3 year, and a global health fellowship that includes the opportunity to also earn a master of public health degree as part of the fellowship. Listed below are our most significant global health endeavors. Vanderbilt University received a $3 million ImPACT Africa (Improving Perioperative & Anesthesia Care and Training in Africa) grant in late 2013 from the GE Foundation’s Developing Health Globally program to fund international medical education and research in Kenya and other low-resource regions of the world. The major focus of this program is to develop training programs that can demonstrably lower surgical and obstetric mortality, as well as dramatically improve and expand education of anesthesia providers in these regions. Throught the grant, the Department of Anesthesiology is also developing an innovative, interactive curriculum to train anesthesia providers who will practice in rural Kenya and other regions of the world. The Vanderbilt International Anesthesia (VIA) clinical experience provides an excellent opportunity for residents to learn about the practice of anesthesiology in an international medical environment. 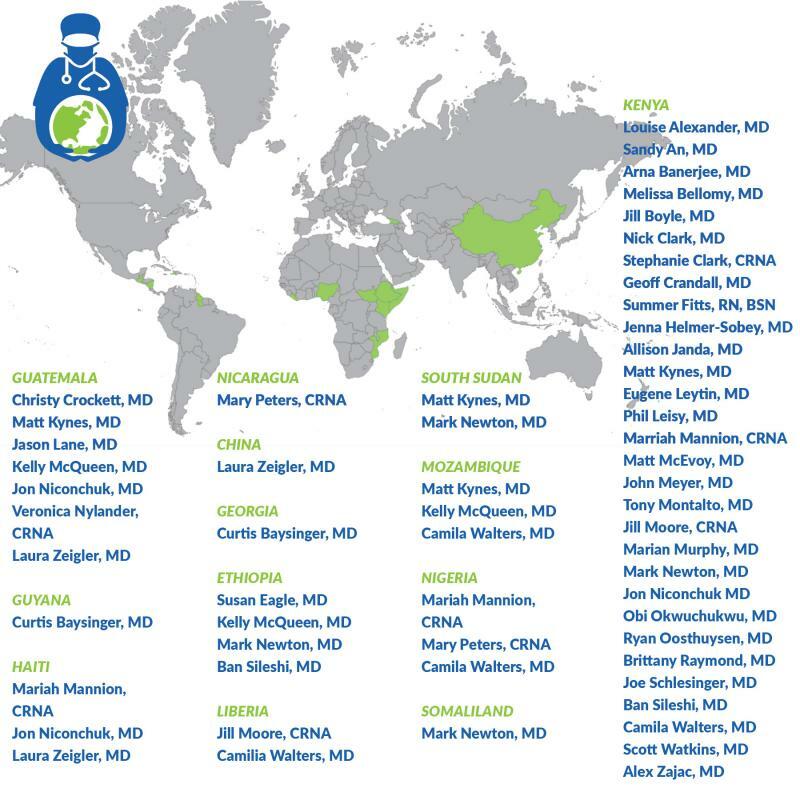 Residents travel outside of the United States to a VIA site, where they enjoy a rich cultural experience while continuing anesthesiology education and training. They learn about perioperative patient care and the management of general anesthesia, regional anesthesia, and sedation in a resource poor environment, caring for patients who often present with advanced pathology and disease uncommonly encountered in typical western medical training. 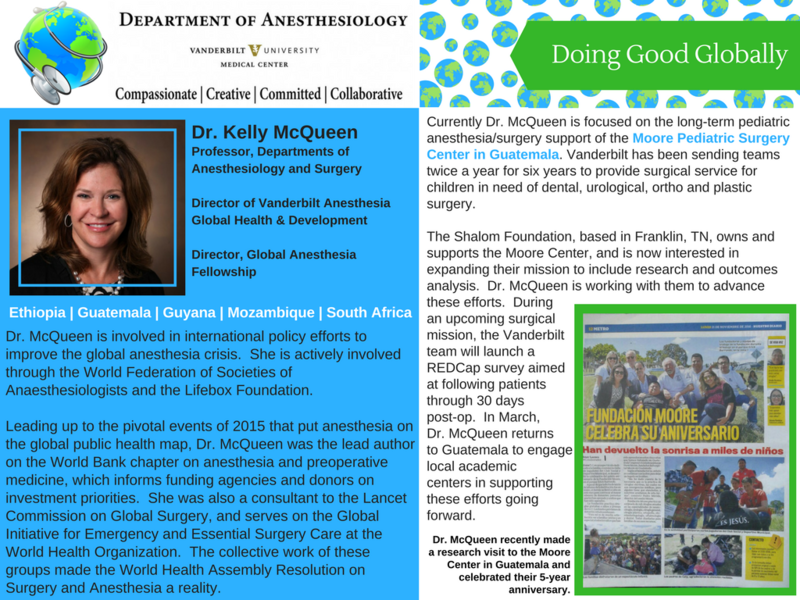 Given the global expertise of many of the Vanderbilt faculty, the international connections in research and education, and the interest of residents Vanderbilt has developed a pathway for residents to obtain special training in global health during their anesthesia residency. 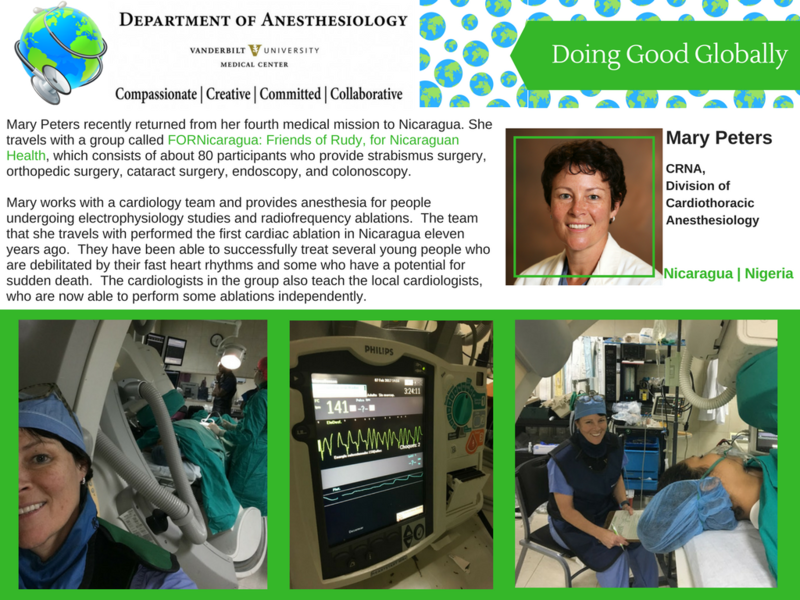 Key features of this innovative program include mentoring by faculty during the CA-2 and CA-3 years, completion of a curriculum in global health and anesthesia, engagement with other departments active in international work, and support for development and execution of a research or educational project in a low-resource setting. 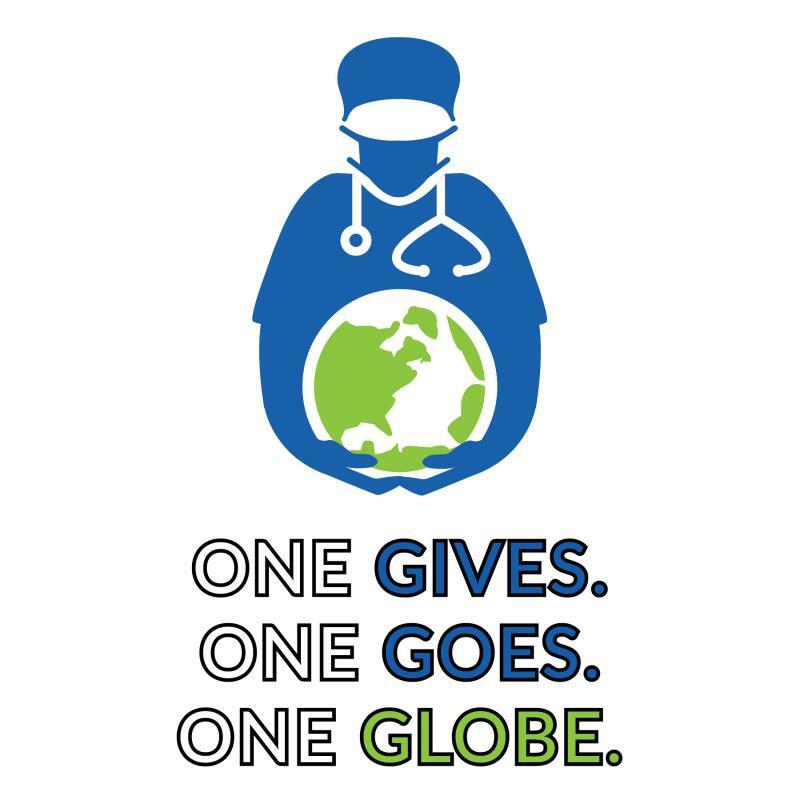 Vanderbilt is a passionate backer of a campaign to provide Lifebox pulse oximeters to areas of need throughout the world, and the Vanderbilt Anesthesiology Department has already purchased and distributed more than 40 of these devices internationally. The current estimate is that there are more than 77,000 operating rooms worldwide that do not have access to a single pulse oximeter. Lifebox pulse oximeters are low cost ($250 each), rugged, and designed for use in low-resource areas. Vanderbilt anesthesiolgists also witnessed a need to educate those going to areas where there have formerly been little or no pulse oximeters to ensure these devices are accepted and used effectively. We developed training videos, distributed by the American Society of Anesthesiologists, in order to provide "train the trainer" pulse oximetry training. Vanderbilt anesthesiologists working in remote service areas in the world also witnessed a need to provide training on the use of the WHO Surgical Safety Checklist. In order to provide "train the trainer” educational material concerning the use of the WHO Surgical Safety Checklist, we developed training videos that are distributed by the American Society of Anesthesiologists.